﻿ Pelé: "We simply can't compare Messi and Ronaldo. 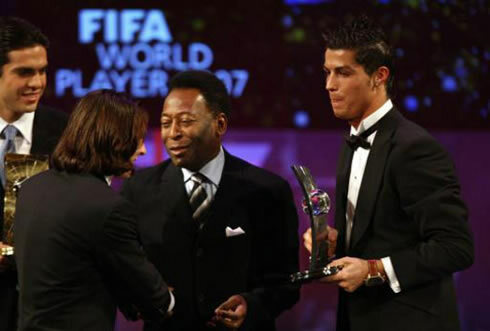 They got different styles"
27.01.2012» Pelé: "We can't compare Messi and Ronaldo. They got different styles"
In a talk with the French magazine, "France Football", the "King" Pelé approached a few topics, like the one concerning whether or not he is the best football player of all-time and the never-ending comparisons between Cristiano Ronaldo and Lionel Messi. Edson Arantes do Nascimento, mostly known by his nickname, Pelé, granted a short interview to "France Football" this week, on which he defended the idea that people should stop trying to compare Cristiano Ronaldo and Lionel Messi, since both players have completely different styles. The Brazilian all-time legend, who is still regarded by many as the best football player ever, still had time to compare himself to Beethoven and Michelangelo, when attempting to justify that he is a "one-of-a-kind" phenomenon and that there will be no other Pelé in the future. 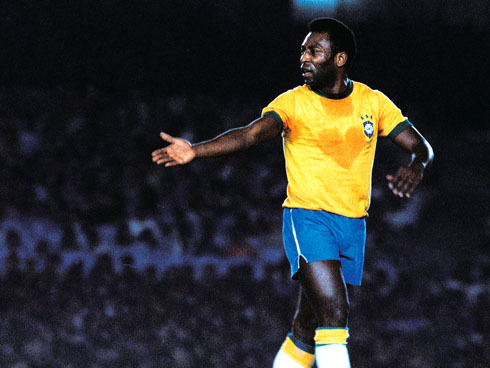 When it comes to look back and analyze his own career, Pelé always shows a tremendous pride in what he has achieved. The Brazilian player couldn't to help to become a bit cocky and pretentious when he started comparing his talent for football to the one of Beethoven for music and Michelangelo	for painting. 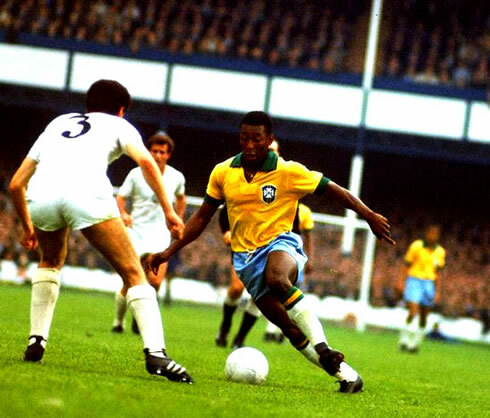 During his career, Pelé represented only two clubs, Santos FC from Brazil and in his last active years, the New York Cosmos, from the United States. 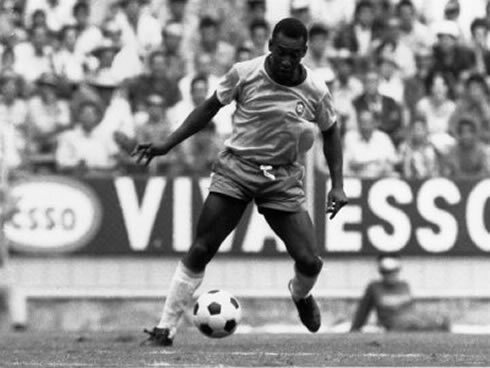 Pelé scored close to 1152 goals club-wise out of 1220 appearances in those 2 clubs, while for the Brazilian National Team he reached the 77 goals mark, after representing his country for 92 times, between 1957 and 1971. 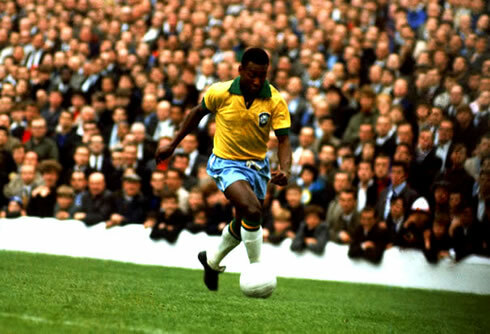 Pelé: "There will be no other Pelé. I was born for football just as Beethoven was for music and Michelangelo for painting", started by remarking the former Brazilian player. He then avoided comparing himself to the Argentinian Lionel Messi, who now owns 3 Balon d'Or trophies. Pelé: "It's always hard. I have much respect for Messi, just like i have for Cruyff, Beckenbauer or Platini. 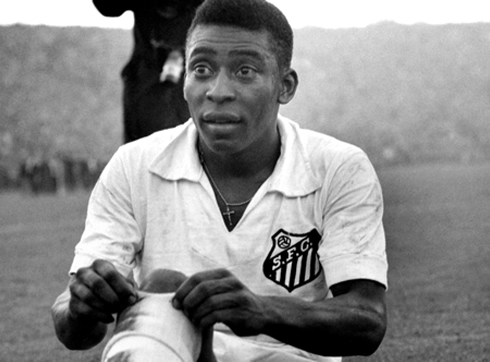 However, each player has its own personality and I don't think there will be a new Pelé. My parents have "closed the factory" after I was born", joked the Brazilian when expressing his opinion that it is always very hard to compare players with different styles. He would then extend his view on this particular debate, to justify with the exact same reasons why he prefers not to compare the two best players in the World right now, Real Madrid's Cristiano Ronaldo and Barça's Lionel Messi. 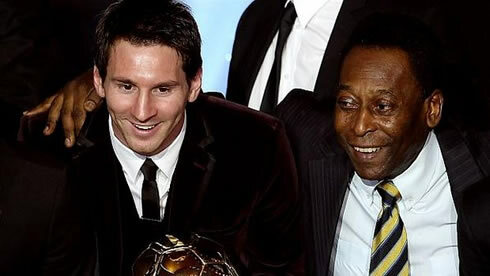 Pelé: "Messi is truly a fantastic player. It's a real joy to watch him on the field, but is he the best? I honestly don't know, as I also don't know if it's possible for someone to compare Messi and Cristiano Ronaldo. They simply have different styles! ", concluded the Brazilian legendary player. 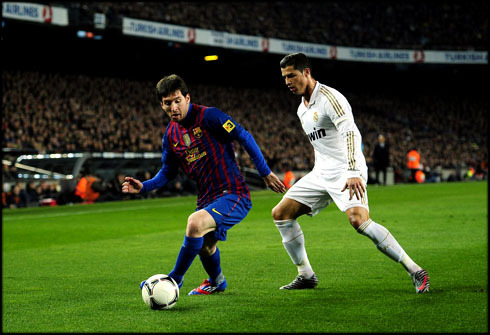 Both Ronaldo and Messi have been widely regarded as the two best players in the World over the last years. Despite the Argentinian having won the last 3 FIFA Balon d'Or trophies, this season Ronaldo can actually be on the verge to break the Argentinian streak, as he leads the Pichichi goals standings in La Liga, but also because Real Madrid still holds legits ambitions to win the Spanish League and the UEFA Champions League. Moreover, Cristiano Ronaldo will also have the chance to shine in the EURO 2012 when representing his home country Portugal, while Lionel Messi obviously won't be granted that opportunity with Argentina. After being eliminated from the Copa del Rey against Barcelona, Real Madrid will now return to La Liga fixtures and host Zaragoza this Saturday (28-01-2012). You can watch Juventus live stream, Real Madrid vs Zaragoza live, but also Villarreal vs Barcelona online and Liverpool vs Manchester United free from our football live streams section. Cristiano Ronaldo is expected to be a starter against Zaragoza, next Saturday.